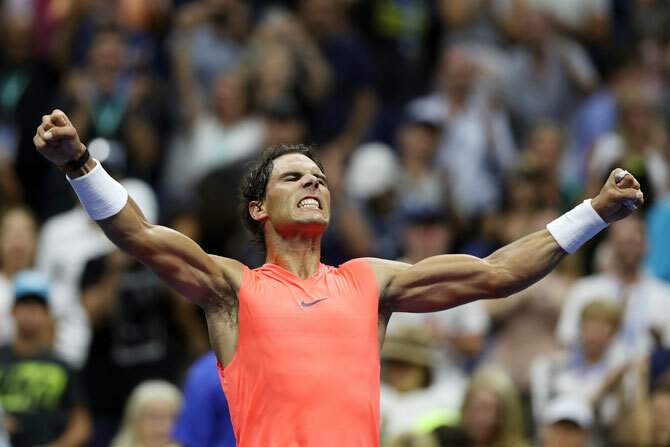 Rafael Nadal has feasted on Russian opposition in the past but Karen Khachanov nearly served up a major US Open upset on Friday, forcing the World No 1 to rally for a breathless 5-7, 7-5, 7-6(7), 7-6(3) third round win. Not since 2011 has Nadal lost to a Russian but his string of 16 victories stretching back to 2011 looked ready to end along with his US Open title defence when big-hitting Khachanov came out with guns blazing. The 27th seed kept up the pressure throughout a four hour, 23 minute thriller that was the Spaniard's longest ever match at Flushing Meadows. "I am very happy to be through in a very tough situation," Nadal said in an on-court interview. "There were some tough moments during the match, but he played aggressive. There are things to work on for the next round, but the good thing is I have a chance to improve." No player in tennis, however, is more dangerous than Nadal when threatened and, with Khachanov serving for a 2-0 lead, the 17-times Grand Slam champion's famous survival instincts kicked in and he snatched a clutch break. Rain began to fall while Nadal celebrated, forcing a delay as the Arthur Ashe stadium's retractable roof was closed and providing the defending champion with an opportunity to regroup. But the drama was not over yet and the massive crowd surrounding the stadium waiting to watch the Williams sisters' primetime showdown was forced to wait a little longer. 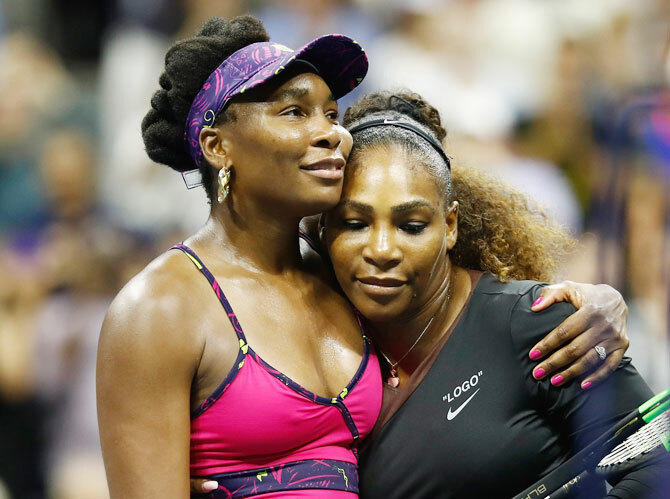 Serena Williams said her win over sister Venus at the US Open on Friday was more meaningful than those she scored when they were up-and-coming teenagers because the pair realize they only have a limited number of years left in the game. "I feel like we want it so bad now," a reflective Williams told reporters. "I mean, we wanted it really bad when you were younger but we had a lot more years in our future," she said. "Now, I mean, we definitely want to continue to play, but it's not like we're 18 and 19 any more. So it's a little bit different." "I played much better tonight than I have since I started this journey on my way back," said Williams, who made the Wimbledon final in July. 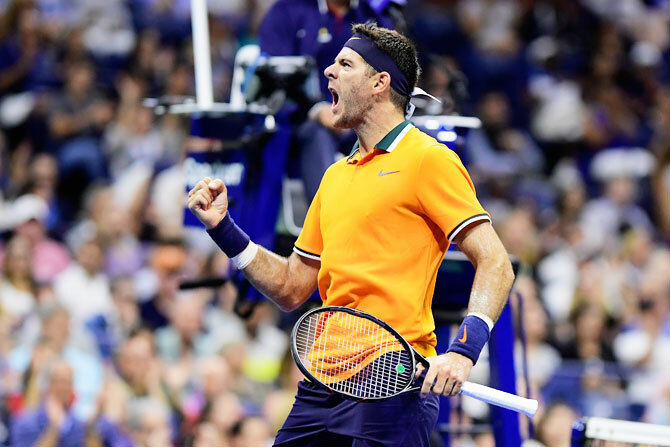 Former champion Juan Martin del Potro put on assured display to register a straight-sets victory over Spanish veteran Fernando Verdasco in their third round encounter at the US Open on Friday. Verdasco lasted two hours and 59 minutes at Arthur Ashe Stadium before he eventually succumbed 7-5, 7-6(8), 6-3 as the clock ticked past midnight at Flushing Meadows. "It was a really nice fight for both. We played three great sets tonight and people enjoyed the fight," 2009 champion Del Potro said in a courtside interview. "He was a good fighter tonight so I give all my best to him." Del Potro sent down 12 aces, 41 winners and won 80 percent of his first serves to reinforce the impression that he is fully fit and well on course to go deep at this year's tournament. His fourth round opponent is Croatian 20th seed Borna Coric, who beat Russia's Daniil Medvedev in straight sets earlier in the day. "I'm very fond of 'The Boss' and I got lucky," Del Potro said. "I went to the theater on Broadway and after the concert I met him. It was almost like winning this title for me. Maybe he will come (to watch me play)." 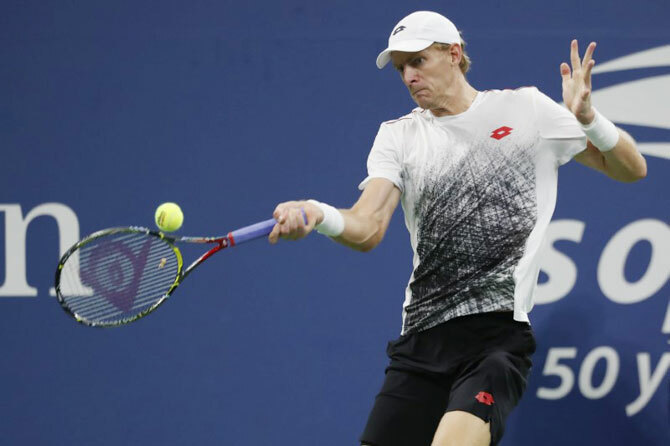 Fifth seed Kevin Anderson came through a second marathon match at this year's USOpen on Friday, defeating flamboyant Canadian Denis Shapovalov 4-6, 6-3, 6-4, 4-6, 6-4 to set up a fourth-round clash with Austria's Dominic Thiem. Anderson, losing finalist last year at Flushing Meadows, fired 11 aces and clubbed 31 winners in his second five setter of the week after going the distance in his first-round battle with American Ryan Anderson in Monday's heat. In cooler conditions on Friday, Anderson's serve was, as usual, his most potent weapon but it was his defence that proved the difference. Anderson heaped praise on his opponent, who is 13 years his junior, calling Shapovalov an "unbelievable competitor" during a post-match broadcast interview. "That was an amazing match," the 32-year-old said. "You're definitely going to be seeing him in the years to come." Shapovalov was similarly deferential, telling reporters after the match that Anderson "played unbelievably big". "I'm really happy I was able to compete out there with him," the 19-year-old said. "It was a close match. I had a lot of chances to break back, wasn't able to do it today." "Going to have my work cut out for me," said Anderson. "Really going to have to focus on my game, continue doing what I'm doing." 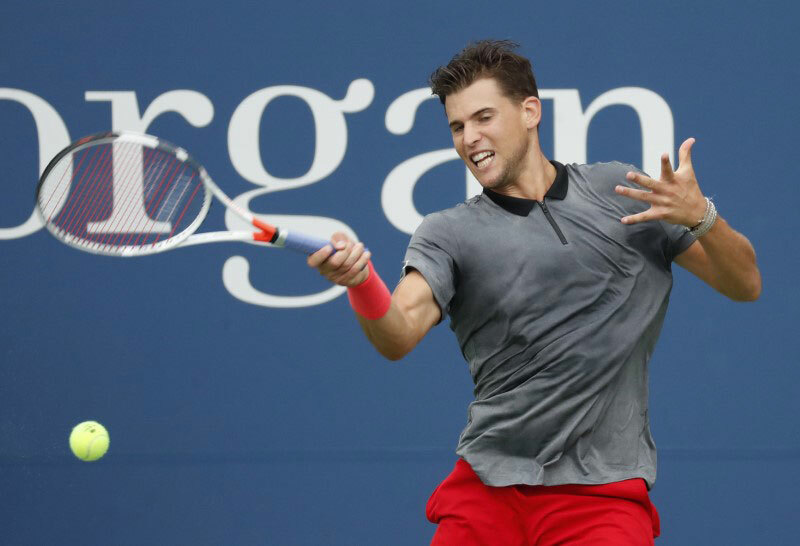 Ninth seed Dominic Thiem fought back to defeat American Taylor Fritz 3-6, 6-3, 7-6(5), 6-4 and reach the fourth round of the US Open on Friday. The Austrian fired down 18 aces and broke Fritz five times to set up a meeting on Sunday with last year's losing finalist Kevin Anderson. "I've always lost in the fourth round so I think it's time I get to the quarters," Thiem said in an on-court interview after making it through to the last 16 for the fourth time. "A lot of bad things were going through my mind as everyone could see," an embarrassed Thiem said. "I'm very sorry for that." "I just scraped it. I do it all the time when I slide," he told reporters afterwards. "It's fine. Just a cut." But the American's hopes of forcing a fifth set were shortlived as Thiem broke back to seal the match when Fritz sent a backhand long on match point. "We both played bad service games, traded breaks," Fritz said of the final two games. "That's because we played four sets basically, then just sat on nothing. It was cold. Just did nothing for like 10, 15 minutes, then had to stand up. I bet he was stiff as well. "He's one of the hottest players on tour right now," Thiem told reporters. "Last four slams, he made two finals. Out of the big servers he's the one with the best baseline game and with the best return. "You are under pressure basically the whole match," he said. 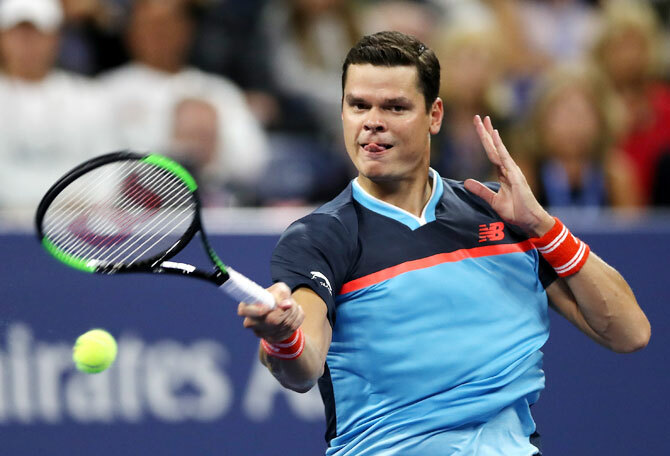 Big-serving Canadian Milos Raonic halted former champion Stan Wawrinka's charge at the U.S. Open on Friday, beating the Swiss wildcard 7-6(6), 6-4, 6-3 to book his berth in the last 16. "It was tough," the Canadian said in an on-court interview. "I was fortunate I got through that because I was falling behind in that tiebreak." Seventh seed Elina Svitolina easily dispatched China's Wang Qiang 6-4, 6-4 to reach the fourth round of the US Open for the second year running on Friday. "For me it was very important to take one point at a time and always put pressure because the last time I played her, I lost the second set because I was a little bit inconsistent with my game," Svitolina told reporters. "From the beginning I think I was getting better and better," she said. "Each match gave me a different look on my game. I'm working really hard on day offs on my game to be ready for the matches." Next up for Svitolina is a fourth-round clash with 19th-seeded Latvian Anastasija Sevastova on Sunday. 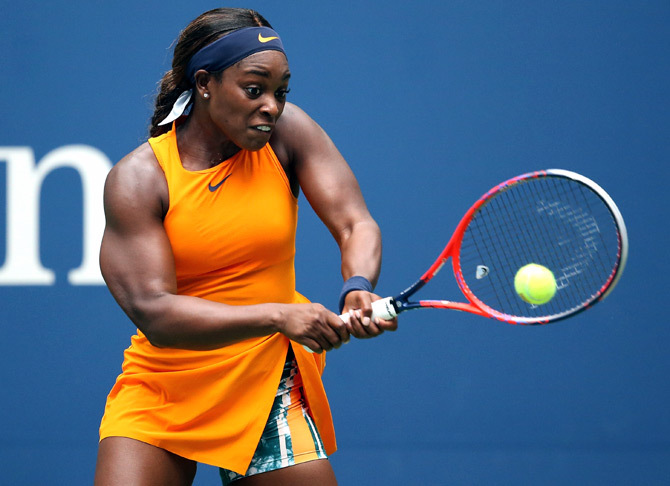 Defending US Open champion Sloane Stephens kept alive her bid for back-to-back titles in New York on Friday, defeating former world number one Victoria Azarenka 6-3, 6-4 in a gritty match to set up a fourth-round showdown with Elise Mertens. A break in the action to close the roof on Arthur Ashe court appeared to bolster Stephens, who tightened up her defence and broke the big-serving Belarusian for a fifth time with a forehand winner to ward off the comeback and go through. 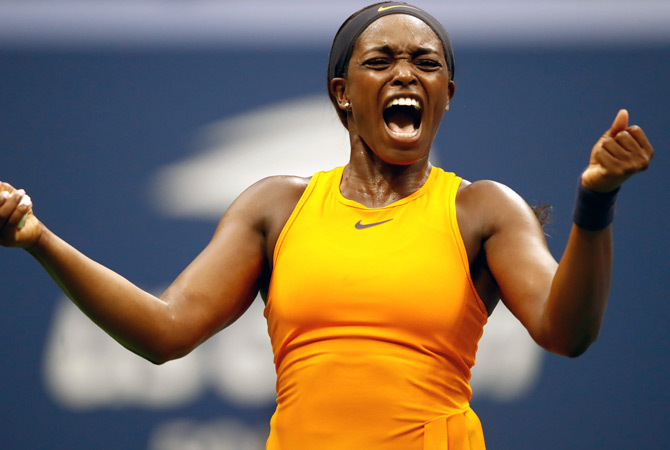 Stephens will look for redemption when she faces Mertens on Sunday after losing to the Belgian in straight sets at the Cincinnati Masters two weeks ago.